May you find great value in these inspirational Diversity Quotes from my large datebase of inspiring quotes and sayings. the energy, and the creativity of all our people. diversity of opportunities and freedom. never had much diversity and film did. expelled every gloomy and vexatious thought. Bring diversity back to agriculture. That's what made it work in the first place. our present resources into a more organic and well-ordered procedure. it didn't have the diversity it has now. I think they're moving toward more diversity. diversity of a country that has too often in the past denied difference. which is it stirs the competitive pot. and also the key condition for a lively and dynamic world as we see today. respecting and celebrating, our cultural diversity. Europe itself is an embodiment of this diversity. cause of diversity in new and more effective ways. the social fabric of the region by and large is one. that is to make the world safe for diversity. the very diversity which our heritage of religious freedom has inspired. refinement, and differentiation of the human intellect. 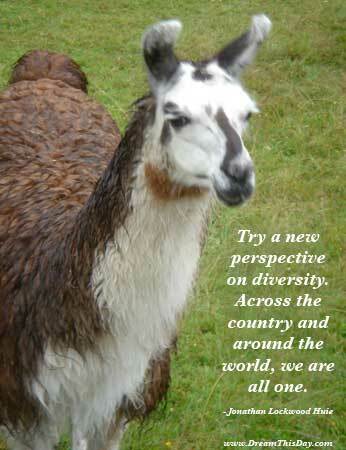 Thank you for visiting these Diversity Quotes - Inspirational Quotes about Diversity.